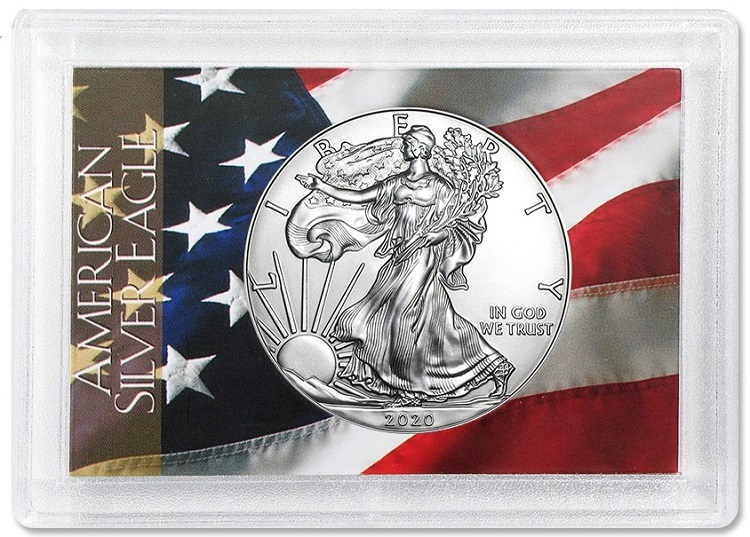 Show your patriotism with these handsome American Flag silver eagle gift cases! Protective case is crystal clear plastic (to view both sides of the coin) and is about 2.5 x 3.5 inches in size. Makes a fabulous (and affordable) gift! Please note that this case is sized for an American Eagle Silver Dollar only. World silver coins or other silver dollars may not fit correctly in this case.